Rose Valley is undeniably a special place to many people. The reasons why are seldom a single fact or a simple story. But all would agree we must sustain our beautiful environment, our rich history, our unique sense of community, and our unparalleled level of public participation. The Rose Valley Centennial Foundation is a 501 (c) 3 corporation that was established in 2013 to do just that. Please join us in that mission. 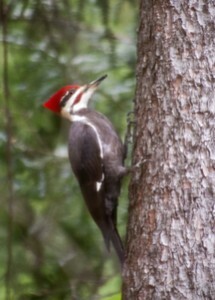 The pileated woodpecker, is one of more than 70 bird species observed in Rose Valley. A list compiled by local birders and notated by Anne Marie Palita and her husband, Rose Valley’s resident ornithologist, Dr. John Smith can be seen by clicking here. Photo by Anne Marie Palita Smith. All photography by Ms. Smith is copyright protected. To learn more about Anne Marie click here. The Rose Valley Centennial Foundation was created to beautify and preserve our natural environment. 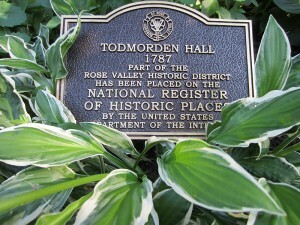 The Rose Valley Centennial Foundation was created to keep our history alive. 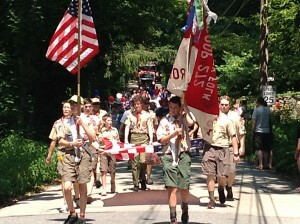 It has been said that the Rose Valley Fourth of July Parade has more participants than spectators. The ad hoc band does not practice prior to the event, but it provides a “tuneful” kick off of to a day that includes a celebration of our past, fun at the pool and a red, white and blue picnic that all residents of the Borough are invited to enjoy. Photo by Gail Hale. 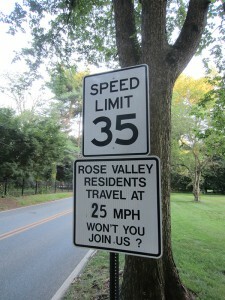 The Rose Valley Centennial Foundation was created to build on our unique sense of community. 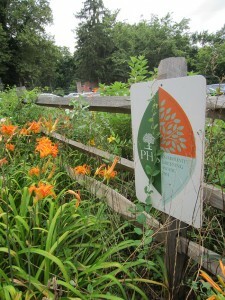 The Rose Valley Moylan Train Station Garden and Pew Park, tended by the Gardeners of Rose Valley, have both received a Pennsylvania Horticultural Society (PHS) Community Greening Award. The Gardeners of Rose Valley is the only organization to have earned two PHS Greening Awards. Photo by Andy Detterline. The Rose Valley Centennial Foundation was created to promote resident participation and volunteerism. If you believe magic like this is worth preserving now and into the next century, please join us.